Jim Tarver (born James Grover Tarver) was born on 17 September 1885 in Franklin, Texas, moved to Memphis and retired to Arkansas so he was always a Southerner. He entered the show business in 1914 and was billed variously as "The Texas Giant", "Texas Jim" or "What-A- Man-Tarver". 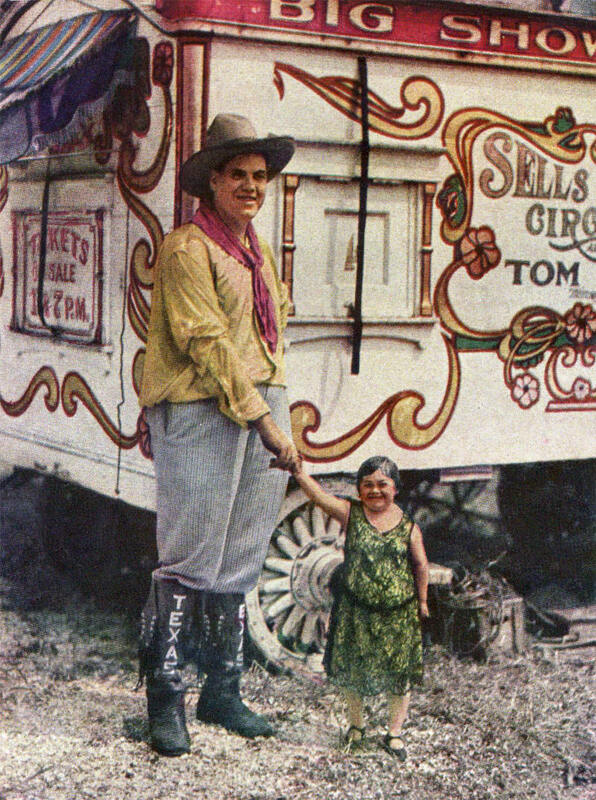 Jim Tarver traveled with various circuses for 26 years and spent his time off on his Arkansas farm. Plagued by diabetes, he died on his beloved farm in 1958 at age 72.